Madonna performs at Staples Center on October 10, 2012 in Los Angeles, California. 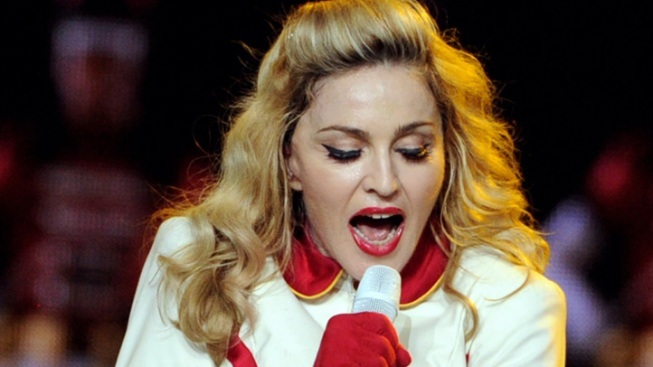 A New York City judge has dismissed weapons charges against a former firefighter who was arrested outside Madonna's apartment building two years ago. Police say Robert Linhart parked his SUV outside the Material Girl's Central Park West apartment, laid out a tarp and spray-painted poster boards with love notes. One said "Madonna, I need you." Another read, "Tell me yes or no. If it's yes, my dream will come true. If it's no, I will go." The New York Post reports (http://bit.ly/TfbUiR ) that Manhattan state Supreme Court Judge Analisa Torres ruled Friday that police improperly seized a gravity knife and an ice pick from Linhart when they arrested him. A resisting-arrest charge is still pending. Linhart's lawyer, Lawrence LaBrew, says Linhart maintains his innocence.